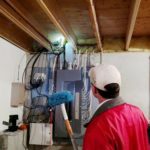 Home / Modern Pest Blog / What Does A Pest Professional Do In My Home When I’m Gone? What Does A Pest Professional Do In My Home When I’m Gone? Great question and this is something we all truthfully think about when someone (a stranger, no less) is in our house, and we’re not there. Are they looking through my drawers? Did I leave money on the counter? Just the thought of a stranger in our home with access to all of our personal belongings is very scary! “Not me!” you say? The first thing to consider is that Modern’s Service Professionals are just that – they are PROFESSIONALS! They have been thoroughly vetted by Modern. Everything from a background check, to a driving record, has been examined before employment. Next, is a lengthy training and licensing process. Service Professionals spend three months getting on the job training, preparing for the state’s licensing exam and then take the exam. Lastly, Service Professionals work in the field with a trainer who oversees and evaluates their “on the job performance” providing valuable feedback. Eventually, when they are ready, they are performing work on their own. A Service Professional’s performance is evaluated by Modern each time we enter your home. Our Service Managers review their work and monitor their progress throughout the day. Additionally, we leave a Pest Management Report (or PMR) for your review. This shows the time we were at your home, a written report of what we did and what we found at your residence. Finally, Service Managers review the notes your Service Professional left. Managers will offer feedback to help solve any problems you see at your home. But maybe you are wondering what it is we actually do while at your home? Every time we visit, we do a thorough inspection of your home, looking for evidence of pest activity or things that might promote pest activity. 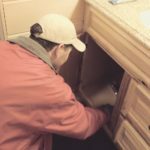 We will look under your sinks, in your basement, in your closets and attic for conditions that attract pests or let them in. A Service Professional will look for equipment we placed so we can reset it. We will even inspect the cracks and crevices of your headboard and nightstand for bed bugs if needed. Yes, everything we do at your home, even before we get there, is done to provide you with confidence in us. Confidence that we are professionals and deserve the chance to earn your trust! Our professionals are happy to explain and discuss with you what we are doing and why, as we go about our inspections and applications. We often find that customers appreciate this and it allows us to show you tips and tricks for helping to keep pests at bay as well. So, feel free to leave us a key, which will earn you a “key discount.” We promise we’ll treat you and your home with the respect you expect and deserve. 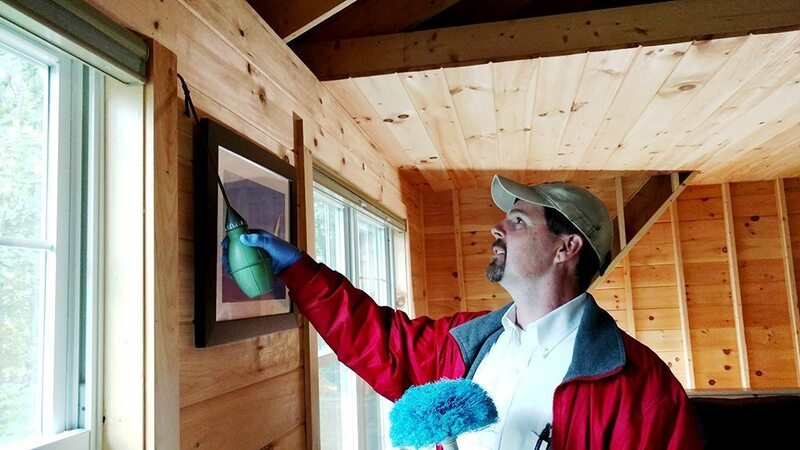 As Pest Management Professionals, we take our jobs very seriously, and we’re proud to be making a difference in people’s lives every day. If you have a pest problem, don’t try to tackle it alone. Give Modern Pest Services a call today at 1-888-997-3312 or get an instant online quote for the comprehensive HomeCare Green program that controls 60 common pests, year-round!